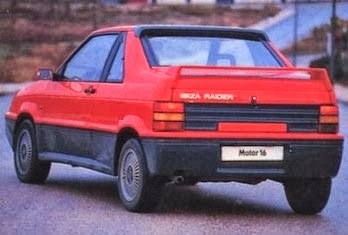 With Seat’s first fully independently designed and built car from Fiat, the Ibiza in the bag and selling well Spanish Francisco Podadera proposed a coupe version to take in the Toyota MR2 and Fiat X1/9. 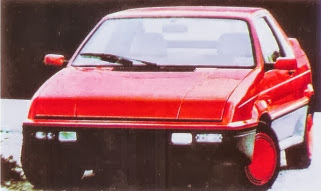 Not only did he propose it he also built prototype, which apart from having its rear roof and seats removed also had a severe nose job that added those much needed 80’s pop up lights and 6”. As you can see the body was also seriously re-worked and replaced with fiberglass. Unfortunately, and as we all know, didn’t make the Seat showroom, however Podedera really felt the car deserved to be built so much so he set up a company Paccar Corp. SA Anaibal to start production away from Seat and renamed it the Anibal Podadera in 1991. 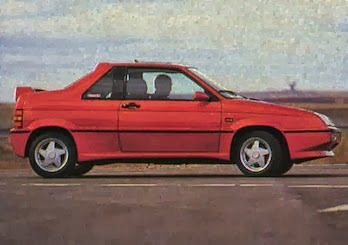 Although it looked the part it was still front engined, unlike the cars is was potentially in competition with, and still fitted with the original 1.5ltr with only 90bhp from the donor Ibiza GLX. Plans were to fit a Mitsubishi, 130bhp turbocharged unit with fuel injection. 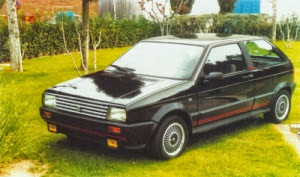 However this “sporty” version never came to the front as problems with parts supplies and cash flow meant after 83 cars were built (only about 50 or so got road approval in Spain) the company closed in 1992. You can’t deny the man not only came up with a concept but went out and built it and for that we’re thankful because today this kind of thing would be nearly impossible.